Gandhi on Friday addressed a campaign meeting in Anand town in central Gujarat which is historically associated with Patel, a stalwart of freedom struggle and the country's first home minister. 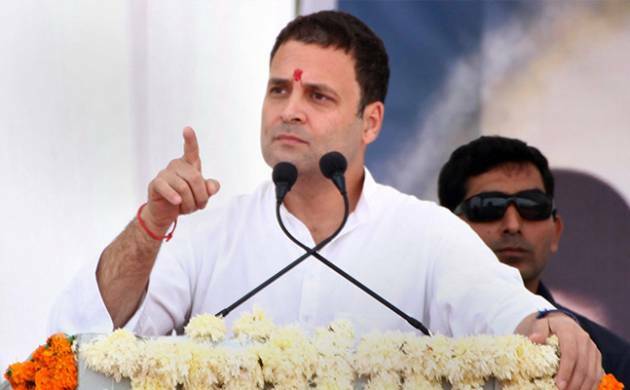 Congress vice president Rahul Gandhi has accused the BJP of turning leaders such as Sardar Vallabhbhai Patel, Mahatma Gandhi and Subhash Chandra Bose into "product". You (state Congress chief Bharatsinh Solanki) said that Sardar Patel was a Congress leader. You named (V D) Savarkar and others, and said that Sardar Patel did not belong to the BJP but to the Congress, he said. "This is a fact that he was part of Congress party. But if we go deeper to understand Sardar Patel, we will find that he is a voice in the heart of Gujarat," Gandhi said. "Sardar Patel does not belong to either Narendra Modi or Rahul Gandhi or Solanki, or to Gujarat or India, but he belongs to the world," the Congress leader said. "He was not a small man who will belong to anyone. He was a great man, a voice in the heart of Gujarat who fought for the state. Nothing can be bigger than this," Gandhi said. "The Congress party will always respect him, but I would like to tell you that sometimes it appears that whether it is Mahatma Gandhi, Sardar Patel, Subhash Chandra Bose, it sometimes appears that they (BJP) have turned them into a product," Gandhi said. He also criticised the BJP over its manifesto, saying it was made in a hurry at Union finance minister Arun Jaitley's office, without talking to the people of Gujarat.